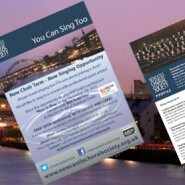 Always loved singing but not sure about joining a choir? 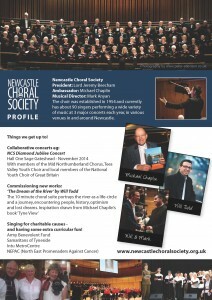 Would like to sing in a concert with professional guest artists? ‘Mass in Blue’ in our December 5th 2015concert with Will Todd Trio? 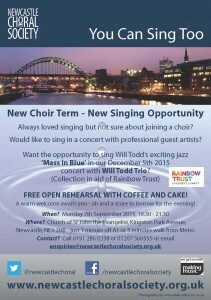 FREE OPEN REHEARSAL WITH COFFEE AND AND CAKE! A warm welcome awaits you – oh and a score to borrow for the evening!